The second season of Phoebe Waller-Bridge’s tragic comedy, Fleabag, will see our heroine learning to deal with the struggles of sisterhood and finding a way to make sense of a crazy world. The series was adapted from Waller-Bridge’s one-woman show at the Edinburgh Fringe and though she previously declared that there would be no second season, inspiration struck and she was able to find a compelling enough reason to bring the show back. 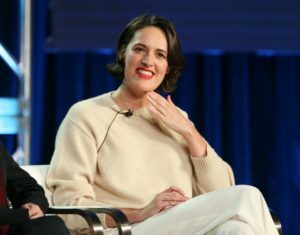 Waller-Bridge and two of her Fleabag cast mates, Sian Clifford and Brett Gelman, discussed the upcoming season at this year’s TCA’s. She goes on to say that the show is really more character-driven than something that can be easily classified as either a drama or a comedy. The characters make the show and in addition to returning cast members like Olivia Colman, the second season will also welcome Fiona Shaw and Kristin Scott Thomas, in a surprise role. Not much was revealed about her role other than the fact that she will make a big impact on the protagonist. 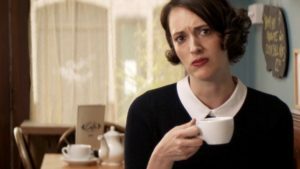 Fleabag season two premieres on May 17 on Amazon Prime.